The LeBow College of Business Department of Management hosted several AOM (Academy of Management) events at the LeBow College during AOM’s annual conference in August, which took place across town at the Philadelphia Convention Center. On July 31, an afternoon workshop on “The Next Frontiers in Innovations Research” was organized by V.K. 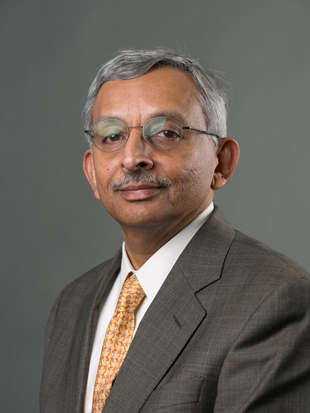 Narayanan, associate dean for research, and featured plenary sessions and break-out discussions. LeBow PhD students blogged about the break-out discussions. Assistant professor of management Raja Roy, PhD, organized a workshop on technological disruption on August 1. The topic was: After almost 20 years of Bower and Christensen’s seminal paper, what do we know and what are the unanswered questions? The event was sponsored by three divisions of the Academy of Management: Technology and Innovation Management; Business Policy and Strategy; and Entrepreneurhip. Dr. Roy also participated as a panelist. Two of the events, both organized by Sucheta Nadkarni, PhD, were associated with the Chinese Management Scholar Community: a research forum on August 5, facilitated by Ming-Jer Chen, past president of the Academy of Management and the Leslie E. Grayson Professor of Business Administration at the University of Virginia’s Darden School, and a day-long mentor’s camp on August 6, during which current PhD students had the opportunity to network with prominent academics including Chen and Larry Farh, chaired professor, department head and director of organizational research center at Hong Kong University of Science and Technology. Jianhong Chen has been elected to serve as the chair of the New Doctoral Student Consortium (NDSC) at the 2013 Academy of Management Meeting. NDSC is the largest and one of the most prestigious professional development workshops at the Academy meeting.